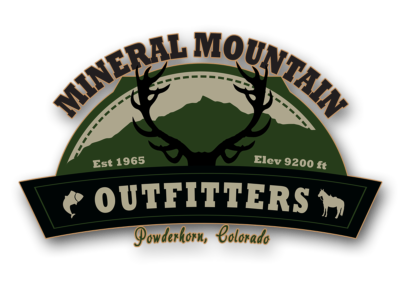 JAN 1, 2019: MINERAL MOUNTAIN OUTFITTERS TRANSFERS TO ​NEW OWNERS! Greg grew up with stories of his grandfather Earl Stamper's hunts on the Powderhorn and this is what first brought he and his wife to the valley in 1994. 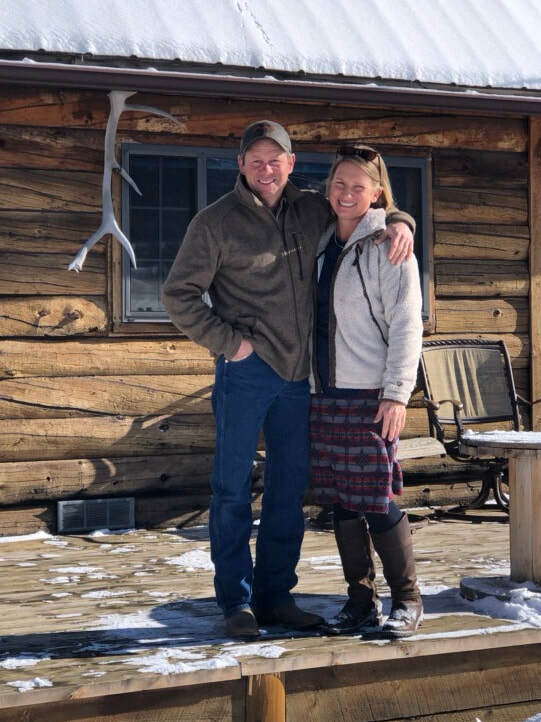 After visiting the Powderhorn with their 4 children for 20 years, an archery elk hunt for their youngest son in 2015 led them to purchasing a cabin and introduced them to MMOutfitters. In 2018 Mr John and Ms Bobbie Martin offered to sell their beloved outfitting and ranching business to the Roys. After working for the entire 2018 season, doing trail rides and outfitting, they were ready to take over the directing and managing of such an incredible opportunity. As avid hunters and outdoor enthusiasts, they consider it an honor and a privilege to work in the Powderhorn valley, carrying on the Martin’s reputation of honesty and integrity with a commitment to keep the tradition of hunting and ranching alive. The Roy's celebrated their 30th wedding anniversary in 2018. They have 4 children, of which three are married, three grandchildren and a lifetime of memories in the Colorado and Oklahoma outdoors. Both Greg and Shannon enjoy all aspects of hunting, fishing and the outdoors and look forward to passing on their love of God's creation to those who want to take their adventuring to the next level. Greg is an experienced hunter of both rifle and bow hunting both elk,mule deer and white-tail. His real interest lies in hunting with a traditional bow. He is proficient at horse packing and wrangling and is a gentle and dependable guide for those wanting a top-notch hunt. As a retired General Contractor, he is keen on detail and a man of his word. As a Christian husband, father and grandfather, he believes in the commitment to truth found in God’s Word as the foundation for all aspects of life. Shannon has made a lifetime career of homemaking; raising 3 sons and a daughter, she passed on her love of the outdoors to the next generation. Her favorite pastimes are providing food that their family enjoys; photography, writing and outdoor adventuring of all kinds, including hunting and fishing. She believes that hospitality is one of the keys to lifelong relationships and that home cooked meals heal the heart, body and soul. Ron was born in 1950 and lived in Wisconsin for 30 years. He served in the Army for 3 years, with 2 of those years overseas. Ron went on his first elk hunt here in 1973, and has been a part of the family ever since. He has over 40 years of guiding experience here in the LaGarita and Powderhorn Wilderness area, and knows the area very well. Ron currently lives with his wife Lindy in Kentucky. The Fontenot’s have two wonderful sons; Jason who is a meteorologist in the U.S. Air Force and Nathan who recently graduated college and is starting his career in Financial Planning. Luella Martin is the daughter of John and Bobbie Martin and grew up on the Powderhorn in the family’s ranching and outfitting business. Luella is a wealth of knowledge in all aspects of hospitality and is an invaluable resource and support to Mineral Mountain Outfitters guests and it’s new owners!